Celiac disease symptoms may appear similar to giardiasis symptoms in some cases. This can lead to a diagnosis that may correctly catch giardia but miss celiac disease. According to some anecdotal evidence, a mild case of giardia may trigger celiac disease. In this case, your doctor may treat the giardia but miss the celiac disease. It may be that the opposite works better: treat the celiac disease and the giardia may take care of itself. 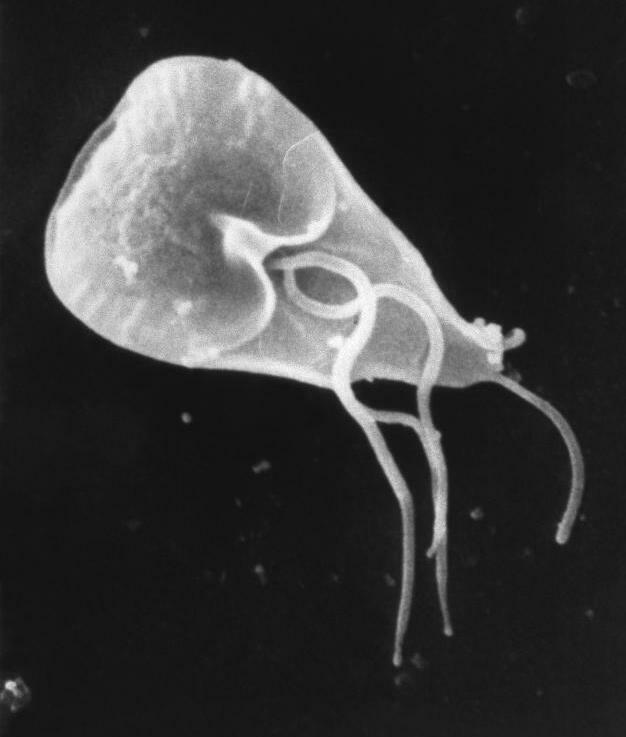 Giardia is a single celled organism. It may exist as an active trophozoite, which spends its time swims around in your gut, multiplying and causing trouble. At other stages in its life cycle, it take the form of a cyst, a sort of inert package that can leave the body in feces, infect water, and be taken in by another host. The spread of this disease is frequently blamed on beavers in some areas of the world. In these places, it is called ‘beaver fever’. I think this is unfair, since it is almost certainly humans that infected the beavers in the first place. These symptoms can result in weight loss. How Long do Giardiasis Symptoms Last? Symptoms usually last for two to six weeks. However, for those with a weak immune system, including those with celiac disease, symptoms can persist for months or years. The symptoms of celiac disease are many, but include the same symptoms as listed above for giardia. Because celiac disease can manifest it self in many different ways, and because many doctors are not very familiar with it (with the possible exception of the classic symptoms), it is possible for a doctor to see only the symptoms of giardiasis and miss the symptoms of celiac disease. This is especially true if you have recently been travelling to countries known for poor sanitary conditions. It is quite possible to have celiac disease without any symptoms, then get infected with giardia, triggering celiac disease. This may be mistaken for a persistent case of giardiasis. It may also be that the giardia is persistent, but the main problem is celiac disease. Going on a gluten free diet will clear up the celiac disease, and may be all the body needs to clear up the giardia on its own. Should I ask for genetic tests? Keeping in mind that I don’t have a medical background, I have a low opinion of diagnosing celiac with endoscopy. The biggest problem is false negatives, depending on where the biopsy is taken and the severity and location of celiac-induced damage. In your case, there is the confusion with possible giardia damage. Further testing might be helpful. You mentioned starting a gluten-free diet: has this helped? It may take weeks or longer before you notice a difference, and if you cheat, you have to restart the clock but if you can stick to it for a couple of months and if you feel better, that too is a strong indication. Given your long history of celiac-like symptoms (sounds familiar!) you should know if you consistently feel better than before your giardia encounter. No, mold does not cause celiac disease. Celiac disease is a genetic condition triggered by gluten. Some people do not experience symptoms until later in life, and it could be that mold exposure or other stresses on the immune system could push someone with celiac disease over the edge as far as manifesting symptoms. Even if this is not the case, many types of mold are toxic.